Our Meat is only sourced from small farms committed to producing quality, naturally reared animals and maintaining high animal welfare standards. We also work in conjunction with a family run abattoir in the heart of the Forest of Dean that works closely with livestock co-operatives within Gloucestershire and surrounding counties. 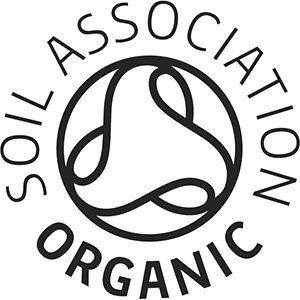 The abattoir operates a multi-species EEC license and is Certified Organic by the Soil Association, and accredited by the most rigorous animal welfare and food safety standards. Being local to the area where the livestock is reared ensures minimal stress in transit and reduces food miles. We support our British Farmers… including Organic Salt Marsh Lamb from Wales, Pork Tenderloin and Farmhouse Sausages from Gloucestershire, and Scotch Beef from Aberdeenshire. Complete traceability of our meat is assured. We can tell you the age of the animal, where it comes from and how long it has been hung. Our beef, is Scotch Beef from traditionally reared herds of Aberdeen Angus and Hereford Cross, grass fed in Aberdeenshire and the North East of Scotland. All our beef is traditionally matured on the bone, minimum 28 days for enhanced tenderness and flavour. Customers tell us again and again it is The Best Beef they have tasted! We can offer practical advice to help select the best cuts for the purpose and then prepare those cuts to your specification, all preparation is done by the Master Butcher himself.